Young Collectors is a series of 3 exhibitions by 5 young collectors (D, B, NL) about the social and artistic place, function and meaning of young collectors in the art-world. The series consists of exhibitions, lectures, interviews and a symposium. 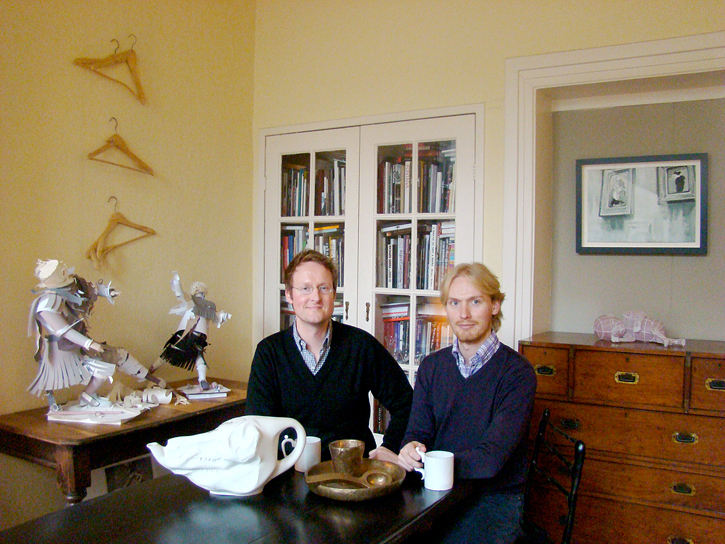 This project is a cooperation between curators Mare van Koningsveld, Lennard Dost and SIGN. YOUNG COLLECTORS #3: ALEXANDER MAYHEW & JARING DURST BRITT (NL)27th Nov 2010 through 9th January 2011 Opening Saturday 27th of Nov 17.00 hrs. Durst Britt (Heerde, 1981) is art-historian and until recently managing executive of Casco in Utrecht. Mayhew (Amsterdam, 1973) works as a copywriter, trainer and actor for businesses and non-profit organisations. Besides that he writes free-lance for Metropolis M amongst others. In Sign they will show works of: Paul Beumer, Rosa Boekhorst, Jeroen Bosch, Tim Braden, Esther Bruggink, Marcel van Eeden, Fendry Ekel, Claire Fontaine, Cyprien Gaillard, Folkert de Jong, Marijn van Kreij, Ben Kruisdijk, Zeger Reyers, Anke Roder, Karen Sargsyan, Levi van Veluw, Mark Wallinger, Simon Schrikker, Gert-Jan Kocken en Nare Eloyan. EXTRA: Saturday 27th November at 16.00 hrs. : FMI Singelzaal, Radesingel 6, Groningen. Alexander Mayhew and Jaring Durst Britt interviewed by Arno van Roosmalen (director of Stroom, The Hague). Entrance: free.